Arrive at Bagdogra airport and transferred to Gangtok. On arrival check in the hotel and relax for some time. Rest of the day is at leisure for your individual activities. Overnight say at the hotel. After Breakfast proceed to full day sightseeing of Gangtok which covers Rumtek Monastery, Jhakri Water Fall, Droul Chorthen, Research Institute of Tibetology, Directorate of Handicraft & Handloom and Flower Show. After sightseeing back to the hotel. Evening is at leisure for your individual activities. Overnight stay at the hotel. After Breakfast proceed to full day sightseeing of Tshangu Lake and Baba Mandir. Rest of the day is at leisure for your individual activities. Later back to Gangtok. Overnight stay at the hotel. After Breakfast check out the hotel and proceed to Kalimpong. On arrival check in the hotel and relax for some time. Rest of the day is at leisure for your individual activities and you can also explore the beautiful surrounding of Kalimpong on your own. Overnight stay at the hotel. After Breakfast take a half day sightseeing of Dello hills, Dr. Graham’s Home, Flower Nurseries, Jang-Dong- Palriffo Brang and Durbin Dara Hills. After sightseeing back to the hotel. Later check out the hotel and proceed to Darjeeling. On arrival check in the hotel and relax for some time. Overnight stay at the hotel. Early in the morning visit Tiger Hill to watch the sunrise over Kanchendzonga Peak. On the way back to hotel visit Ghoom Monastery and Batasia Loop. After Breakfast at hotel take a half day sightseeing of Japanese Temple, Peace pagoda, Padmaja Naidu Himalayan Zoological Park & Himalayan Mountaineering Institute, Darjeeling Ropeway Ride, Tenzing & Gombu Rock and Tibetan Refugee Self-Help Center In evening back to the hotel. Overnight stay at the hotel. After Breakfast check out the hotel and proceed to Bagdogra airport to board a flight for your onwards journey. 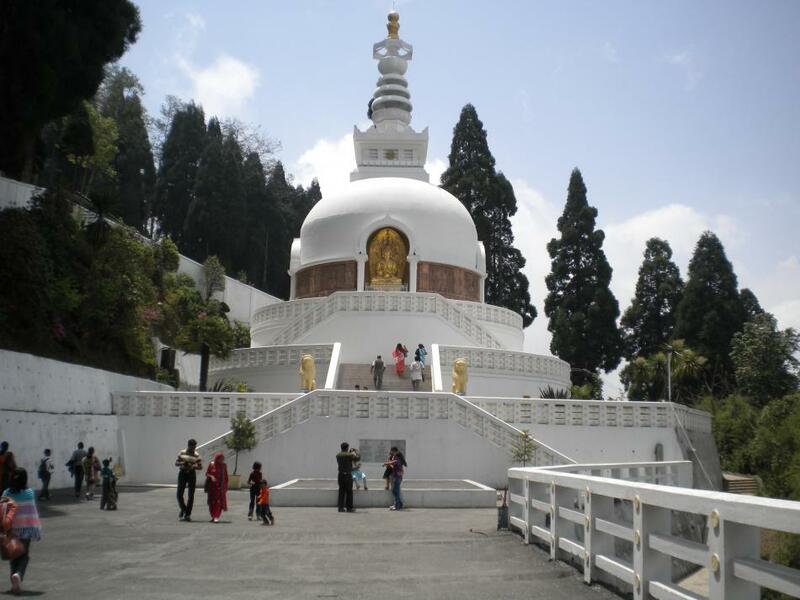 If you have not decided yet or wants to customize tour itinerary or hotels listed above in "North East Delight with Gangtok Tour Package By Pack N Go Holidays", then we can change the travel itinerary and make a personalized, tailor-made holiday package, especially for you. We can modify this travel package as per your itinerary, budget, duration and the tourist places you would like to visit, including transportation and airfare should be included or not. Please fill the form below to contact us.